Ryan has been with Inside Edge since 2009. He has coached players from the Rascals Program, all the way through to BCHL, WHL, and NCAA. In addition to his time with Inside Edge, Ryan has been involved with numerous associations and elite hockey programs. Most notably, Ryan has spent seven seasons at the Burnaby Winter Club as a Head Coach, Associate Coach, and a Skills Coach. 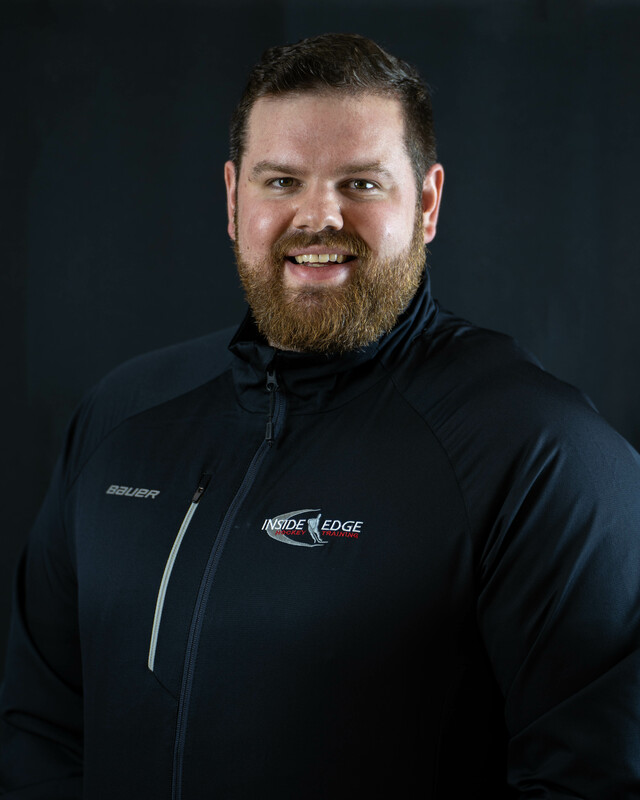 With Inside Edge, Ryan has worked closely with the Jr Steelers Spring Hockey program, and he loves watching players of the same caliber and determination grow exponentially. He believes there’s nothing more rewarding than taking sixteen individuals and encouraging them to grow together into a hockey family. They form a bond much greater than just a game of hockey. Ryan is also the Director of Hockey Operations for the Coquitlam Minor Hockey Association, where he works closely with volunteer and user groups. Together, they are dedicated to getting young kids involved in minor hockey and to providing the most well-rounded on-ice development program for current players. Growing up in Port Moody, Ryan played both hockey and baseball competitively while also pursuing mountain biking, basketball, swimming, golf, lacrosse, and rugby. His love for sports has led him to be an advocate of a multi-sport approach to athleticism. He also believes in providing youth with the opportunity to grow, learn, and adapt through participating in a variety of roles within a team environment. For Ryan, his greatest passion is instilling great life skills in our future leaders. He takes pride in guiding them toward success, both on and off the ice.